Achamma Matthai was born on the 21st February 1898. 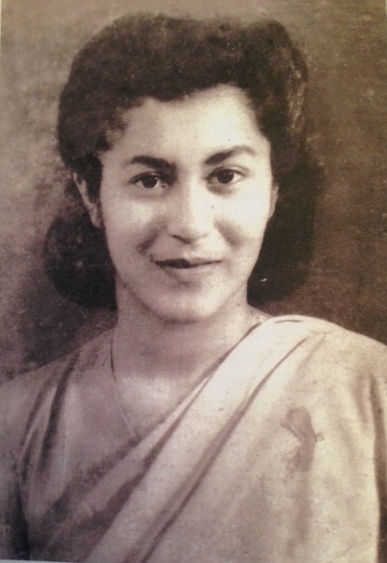 She was educated in Trivandrum and sent for her B.A(Hons) degree to St John’s Diocesan College in Calcutta. She was one of the earliest women of her time to study out of Kerala. She was a lady of great charm and intelligence and graced several positions in public life. Her contribution to the service of refugees after Partition was tremendous. As a wife to Dr John, She was a real asset and he would consult her on many important matters. They were a devoted couple. Because of her abilities she commanded an independent status and recognition in public life. For many years she was President of the YWCA of India, She was also a devout Christian and gave invaluable service and support to the Orthodox Syrian Jacobite Church. She served as the Hon Director of the Women’s Section of the Ministry of Rehabilitation from 1947 to 1950 and was the Chairman of the Central Social Welfare Board for several years. She was associated with many committees constituted by the Central and State Governments and was the President or Vice President of a number of organizations dealing with problems of women and children. In recognition of her many contributions to the country, she was conferred with the Padma Shri in 1955. She passed away in Trivandrum in April 1977. Valsa was born on the 15th July 1922 in Trivandrum. She had her early Education in England and when her parents moved back to India, she was sent to the Nazareth Convent In Ootacamund in the Nilgiris where she studied till 1938. The family then moved to Bombay where she attended Elphinstone College. She was an outstanding student, also musically talented, played the violin and was generally proficient in Western Classical music. She went a few years later to study Journalism at Columbia University in New York. There she tragically died. Duleep was born on the 18th October 1924 in Madras. He studied at the Doon School after which he was employed by a British Managing agency company in Calcutta. His first assignment was in their Tea Gardens in Assam where he was able to experience Nature in all its aspects. He resigned to join Tatas in the Chairman’s office. Following Tatas, he joined Oberoi Hotels and was based in Delhi for some years. ​ While in Delhi, he was appointed by the Government to be a Member of the Indian Board for Wildlife, where he made a significant contribution. He served many years as a Trustee of the World Wildlife Fund (India). He passed away in Anand (Gujarat) on 5th March, 2017. Ravi was the youngest of Dr Matthai and Achamma’s children, born in Trivandrum on the 6th August 1927. He joined the Doon School and then went to Allahabad University. Four years later, he went to Balliol College Oxford where he graduated with a PPE (Politics, Philosophy and Economics) degree. He worked for a British Managing Agency for some years in Calcutta, till in 1963 he joined the Faculty of the Indian Institute of Management, Calcutta. In 1965, Dr Vikram Sarabhai persuaded him to join the Indian Institute of Management Ahmedabad as its first Full Time Director, a post he held till he voluntarily stepped down as Director but remained on the Faculty till his death in February 1984 in London after a cardiac surgery. After he relinquished his post as Director, he started an educational experiment which he called the Rural University. Its objective was to teach people from the informal sector to develop skills to improve their lives.